I couldn’t find time to work on Stephen’s course during that time, apart from following its progress in a general sense. But the great thing about Stephen is that he is so open and transparent. He lives it; he models it. He is the epitome of sharing knowledge. He archives what he shares in a way that deliberately teaches it to others. So now that I’m back “home” in Malaysia, it’s not hard to pick up the breadcrumb trail to see where the course has got to before it ends with its final event on December 19. Since Stephen has laid down a fine trail of breadcrumbs, the course is easy to follow asynchronously. Stephen’s course is shared under this Creative Commons License, https://creativecommons.org/licenses/by-nc-sa/3.0/. This stipulates that anyone can share these materials as long as we attribute their creator, and do so non commercially. The only caveats are that any alterations made must be noted, and also, the materials must be shared alike. All the foregoing are the case with postings in this blog. Here are a few things I had figured out before I left for my trip in October. 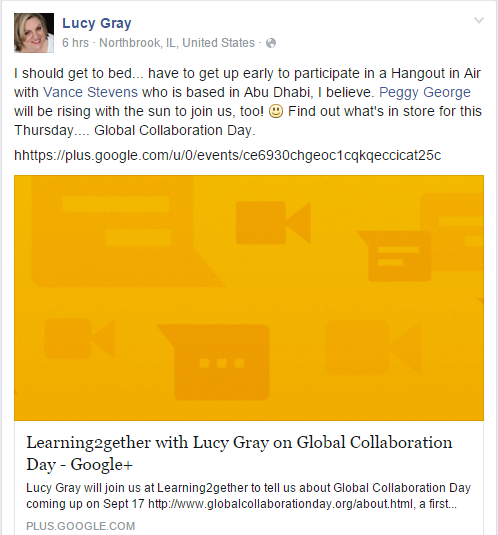 There you can see that the course was announced in a post on October 10 and slated to start on October 15. The first reading posted for the course (and listening, the post includes videos) was on Why Data Culture Matters, an article (simplistically speaking) on the pros and cons of sharing data and results of its analysis. Here Stephen declares this to be “‘Week 0’ and the topic is E-Learning 2 and 2.” He says the course will start officially on October 18. He says, “I hope to be prepared by then (but probably won’t be).” He adds that “I will be incorporating tasks into the course. Don’t worry about falling behind – I’m already behind in incorporating them.” However, he does say that he will be interviewing George Siemens shortly, gives the event page as https://el30.mooc.ca/event/79, and there, sure enough, we can find the video recording. In that recording Stephen says that the course will begin NEXT day with the talk he’s giving on E-Learning 3.0 at the Online Learning Summit. He said in the newsletter that he would not be able to stream the event, that he’d post a recording afterwards, but he says while waiting for George that he will attempt to stream it anyway. All this is classic Stephen, rough edges surrounding a solid gold core. In their video George Siemens notes that all the energy that accompanied the early days of MOOCs since their first one in 2008 on Connectivism and Connective Knowledge has been followed by 5 years of “wilderness” which is beginning to get interesting again with the recent interest in artificial intelligence, and its implications for human intelligence, and “what it’s left for humans to do.” This gets to the question of what IS uniquely human? George points out that humans have a “reset problem” whereas machines get better with more data and don’t tire. What about creativity? he wonders aloud, foreshadowing one of the topics in Stephen’s course-to-come. It may not be a domain unique to humans anymore. “Beingness” may be “our final domain of human control.” Stephen interjects that if we can learn something, probably a machine can too. But we have “purpose” and “goodness”. George agrees that humans are “being” entities, we are inherently learning entities; “we cannot unlearn.” Computers on the other hand can outlearn us. So, back to the video, what should we be teaching in our universities when a student has such a disadvantage against machines? This segues into a conversation on connectivism and how much more relevant it has become given how the world has evolved today. Stephen sums it thusly: technology is helping us extend ourselves out into the world. George asks if we should move to a relational / random / exploratory kind of model in our educational systems. Stephen adds that the capacity to choose might be a key element in future learning, our focus of support. George concurs on the developmental aspects – we need a model of the intersection of AI and human intelligence; how they can work together to guide our educational institutions and return us to reflective, contemplative practices. So, as we can see, I’ve only just started finding out what the course is about. However I want to bring into this post, into one place, what I have been following as the course was in progress. I’m bringing these here from where I’ve been making notes in my Learning2gether wiki and in my last posting here at Learning2gether.net. I’m doing this because I want my notes all in one place, for my future reference, and for yours if you are learning about Stephen’s course through me. 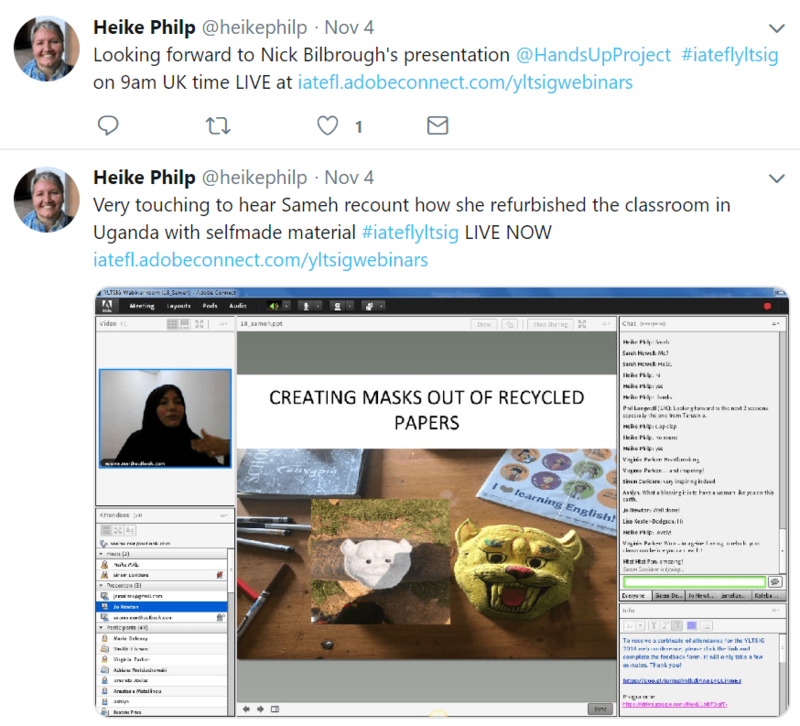 Subscribe to the course feeds – using the feed reader of your choice (here’s a selection) use the course OPML file (here it is) to subscribe to the course feeds. To get a badge you’ll need to show you’ve done this, maybe by writing a blog post). This is a gentle introduction to graph theory. Graphs are data structires in which entities – called ‘nodes’ – are connected to other entitis via some sort of a link – called an ‘edge’. In graph theory there are no limits on what can be connected, nor how they can be connected. Defining graphs in specific ways, however, creates the structures that underlie most of the modern web. The diagram in this resource descibes some different types of neural networks. Take a look at the specific tasks they perform – neural networks are good at things like classification and recgnition, as well as regression (that is, finding a trend or regulrity in data). I got this image from this page, which has more resourcs on neural networks. Graphs are important types of data structures. Instead of thinking of things in rows and columns (the way we would in a spreadsheet or a database) we think of things as nodes and edges. This page has a very brief description of a graph data structure and then a long list of things that can be done with graphs – cycling, sortinfg, spanning, searching. This page is meant to explore, not to learn – follow the links, try running some of the code (click on the r’run in IDE button’). You may have heard of GitHub – the open source software repository that was recently acquired by Microsoft for $7.5 billion. GitHub is important because it allows authors to release related versions of their software, to incorporate and merge contributions from many authors, and to allow people to create their own version (or ‘fork’) any application. To do this, GitHub is structured as a Directed Acyclic Graph, creating a series of relationships among code libraries. I found Week 3 (above) of special interest because of its exploration of the implications of blockchain for education. For week 4 of E-Learning 3.0, a conversation with Maha Bali, Associate Professor of Practice at the Center for Learning & Teaching at the American University in Cairo (AUC), on topics related to identity. Week 5 of E-Learning 3.0 features Sukaina Walji, Online Education Project Manager, Centre for Innovation in Learning and Teaching (CILT), University of Cape Town (UCT). Viplav Baxi joins us for week 6 of E-Learning 3.0. He is currently Director – Product and Digital Transformation at Oxford University Press in New Delhi, India. We’ll talk about resources, recognition and community. Be creative! Using the medium of your choice, create a representation of your experience of E-Learning 3.0. Then post your creation (or post a link to your creation) on your blog. Here’s a good example of the sort of thing you could create, by Kevin Hodgeson (who apparently also studied mind reading as he completed this Task before it was posted). If you need inspiration, visit the DS106 Assignment Bank and select one of the assignments, and then interpret it in the light of E-Learning 3.0. I’ve covered the topic of creativity quite a bit over the years. This is a listing of the posts I’ve written referring to different resoruces on creativity. There’s a lot to pick and choose form. Amy Burvall is getting up really early on a Saturday to join us. The conversation will start at noon Eastern time (see the Event Page to see the time in your own time zone. 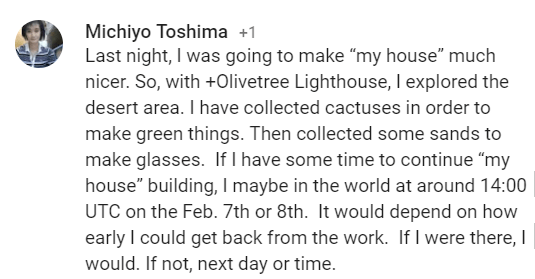 Here’s a good example of the sort of thing you could create, by Kevin Hodgeson (who apparently also studied mind reading as he completed this Task before it was posted). You can edit this work on GitHub. The goal of the Social Justice Repair Kit project is to support youth at risk who have learning differences to re-engage in education through an inclusively designed social justice platform that integrates authentic project-based learning. For youth with identified and unidentified learning differences, the Kit will add inclusive design supports to remove barriers to participation. These stories serve as a reference to other people who identify themselves in them and who discover in them similarities with their own life story, which in some cases may turn out to be unfavorable, however, in this discovery, possible methods of coping are identified that allow resolving or resignifying adverse situations optimistically. “We find that when selecting a problem-solving team from a diverse population of intelligent agents, a team of randomly selected agents outperforms a team comprised of the best-performing agents.” See also Problem Solving by Heterogeneous Agents, by the same authors. 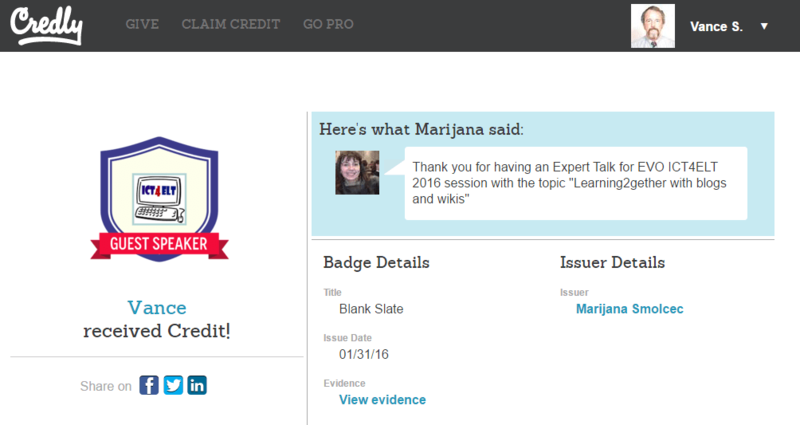 Let’s wrap up the course with an online conversation anyone can join. When? I’ve set a default time but I’d rather set a time by consensus. This page is open for editing. Join in and help decide when to wrap up and celebrate the end of the course. If you are interested in learning about research in online language learning, particularly 3D Virtual Worlds, then this is a great opportunity for you and we hope to see you online! Learners’ development of collaboration skills has important implications for their language learning (Donato, 2004), fluency development (Huensch & Tracy-Ventura, 2017), and the development of interactional skills (Johnson and Johnson, 2004). When working together towards achieving a common goal, learners use language to mutually construct new knowledge by sharing their own ideas and accepting contributions from other participants (Donato, 2004). 3D virtual worlds (VWs) can provide learners with the opportunities to collaborate through multiple communication channels, which may facilitate language development (Meskill, 2005). Drawing on the results of the study on learner collaboration in 3D VWs (Kozlova, forthcoming) when students used an audio channel to interact with their peers and a text-based channel to make notes on a collaboration board, this presentation discusses the factors affecting learner collaboration. These factors include (1) learners and instructors’ familiarity with 3D VWs, (2) learners’ familiarity with the format of the learning activity, (3) learners’ experience with the spontaneous use of the second language, and (4) instructors’ use of pedagogical techniques that facilitated collaboration. Although this presentation draws on the findings of the research in 3D VWs, implications of the findings to face-to-face classroom will also be discussed. In Virginia students start in elementary school collecting, organizing, and interpreting data in math, science, and technology. The older the student gets the more sophisticated the expectations become in dealing with data. We imagine it’s the same with the students all over the globe. Data Informatics examines and helps students make sense of data; reading, scanning for trends, and interpreting the data. Data Visualization is a way to take that data and make it easier to understand, more user friendly. Through data visualization we have techniques to make data easier to interpret. In 2D and 3D mediums we can show off data in expressive and meaningful ways. Bluebarker Lowtide (SL), Vasili Giannoutsos (RL) will show us examples of Data Informatics and Data Visualization and give us opportunities to build our own. Whether you teach students to read and interpret data or you yourself are struggling for meaningful ways to share data you collect, there will be something for you in this session. Meet us on VSTE Island in Second Life Monday, November 19, at 8 PM EST (5 PM SLT) to learn about Data Informatics and Data Visualization. If you don’t have a Second Life account get one, it’s free. We recommend setting one up at the Rockcliffe University Consortium’s Gateway here: https://urockcliffe.com/reg/second-life/ Download and install the software. While your Second Life viewer (software) is open click this link http://maps.secondlife.com/secondlife/VSTE%20Island/61/104/22 and voila! Look for an avatar on VSTE Island and say, “Hey, I’m new!” We will take care of the rest. DATE & TIME: Tuesday, November 20th, 2018, 4:00 pm US-EST (1-hour presentation + 30 minutes with special guests). Click herefor time zone conversions. The recording of the Webinar will be available immediately following the live broadcast, and available to all who register. You need to sign up for each day separately. This year’s web conference is entitled: ‘Finding yourself as a teacher’ and will focus on the needs and challenges of the beginner teacher. While remaining open to all language teaching professionals, the conference is focusing on the early career teacher area. Over three days it will provide different sessions on topics relevant to that area including a look at the different types of language teaching both contextually and thematically, CPD options and how best to make a career out of teaching. Please note: All times shown are UK time. Click here to convert to your time zone. 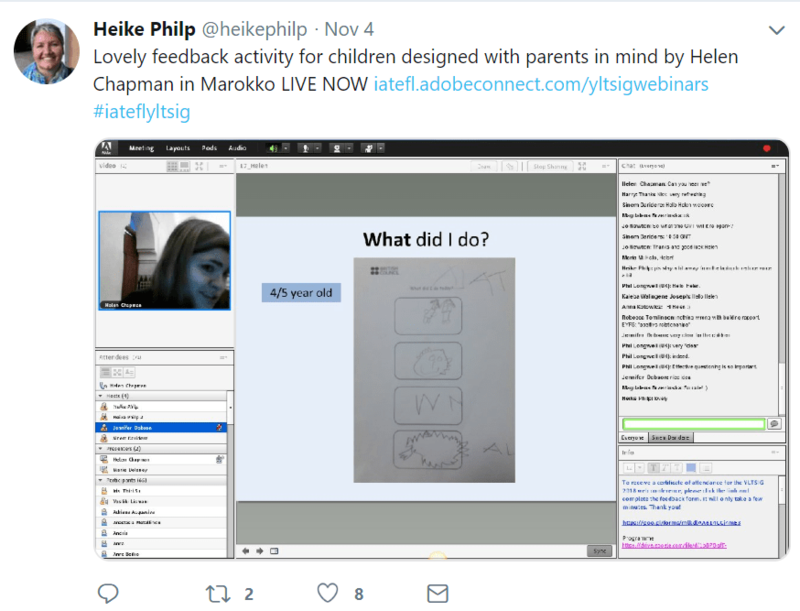 18.15 – 19.15 So I’ve gotta teach kids now!? 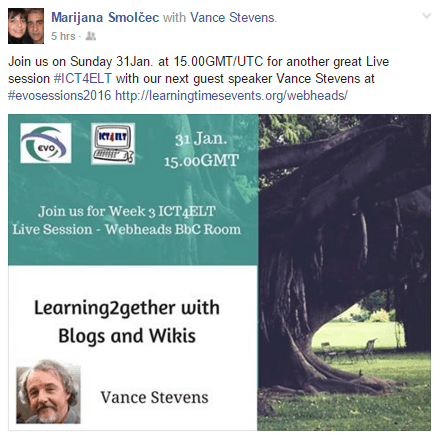 15.30 – 16.30 How can you “…be true to yourself in the classroom”? 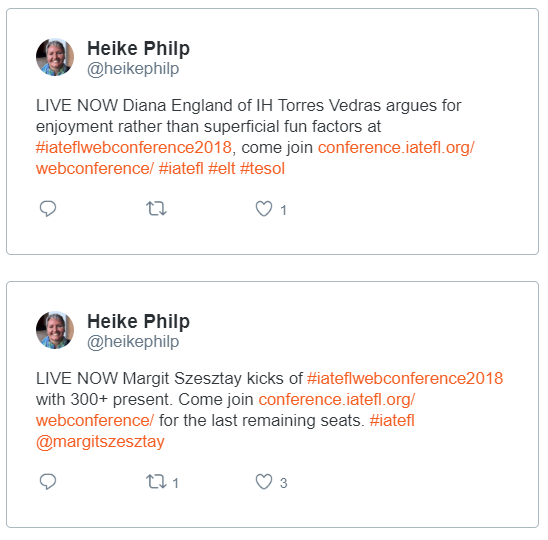 16.45 – 17.15 A Teaching Assocation – what’s in it for me? Come to VSTE Island in Second Life! Bring something you learned at the last conference to attended to share with the rest of us. Recent VSTE attendees will share how the sold out conference went! I have a little app to share that I learned about in a Blues Bar in Second life! You never know where you might learn something cool if you are a lifelong learner! See you at 5 SLT. If you don’t have a Second Life account get one, it’s free. We recommend setting one up at the Rockcliffe University Consortium’s Gateway here:https://urockcliffe.com/reg/second-life/ Download and install the software. While your Second Life viewer (software) is open click this linkhttp://maps.secondlife.com/secondlife/VSTE%20Island/61/104/22 and voila! Look for an avatar on VSTE Island and say, “Hey, I’m new!” We will take care of the rest. This presentation explains what teachers (who are learning about the game through the experience of playing it as learners) are learning about designing worlds within the game context that will meet their curriculum objectives and create an engaging and enjoyable experience and task-based environment for learners. But above all, the paper explores how teachers can be made aware of the affordances of Minecraft by creating such spaces for one another and interacting in those spaces. It also serves as an example of how we teachers can use what we have learned through our experience with MOOCs to form communities of practice to reboot our own learning, using the community as curriculum (Cormier, 2008). Hi, my name is Vance Stevens. I’ve been teaching English to speakers of other languages for over 40 years. My methods have evolved over the years from the behaviorist and cognitive approaches prevalent when I started teaching, through more communicative approaches, teaching through communities of practice, through connectivism, and most recently through gamification. Minecraft is a game that for the past decade has caught and sustained the attention of teachers wanting to introduce elements of gamification into their classrooms. However, there are two steep hurdles for teachers: (1) First is the complexity and depth of the game itself, and (2) secondly, understanding how students will interact and communicate with each other in Minecraft by engaging in self-directed critical and collaborative learning. I started EVO Minecraft MOOC to address and resolve both these problems. EVO Minecraft MOOC is one of these sessions. 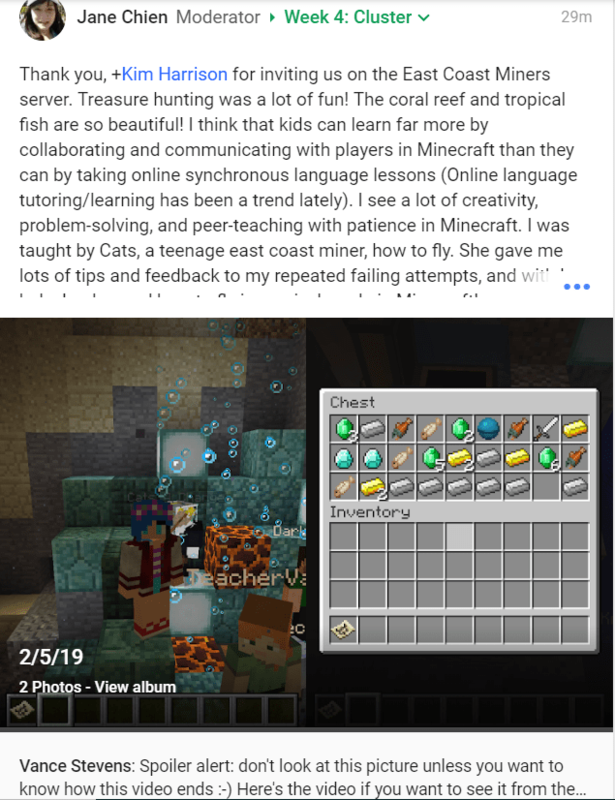 We started it in 2015 and it has since become an ongoing community of practice of language teaching practitioners which invites newcomers to join in every January / February and then continues throughout the year with a dedicated group of teaching peers who have been interacting online in Minecraft for coming on 5 years now. 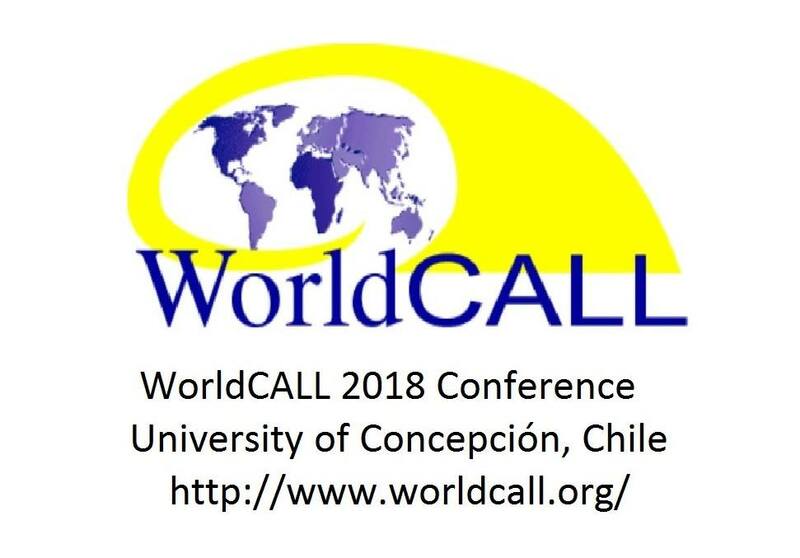 In November 2018 I’m presenting at WorldCALL 2018, in Concepción: Chile, about our work in EVO Minecraft MOOC. The presentation explains how the group was formed, how it functions, and what we have learned about gamifying learning by experiencing it ourselves when playing the game Minecraft with one another. More importantly we reflect continually on how this informs our approach to teaching and learning. 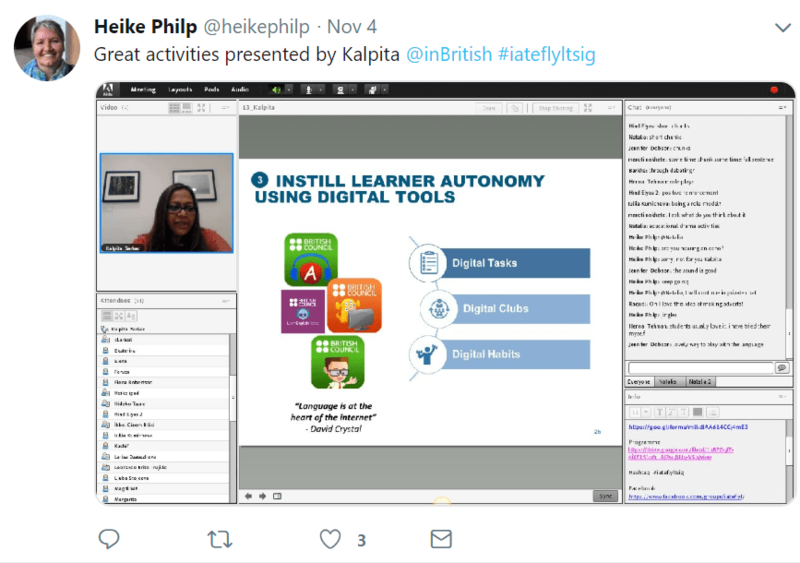 This presentation shares our insights and perspectives with our audience and invites them to join us online if they wish to learn more about what gamification feels like as a learning experience. As EVO Minecraft MOOC prepares to enter its 5th year engaging teachers hands-on with peers in the participatory culture their students will experience when playing the game of Minecraft, this presentation invites you to join us. 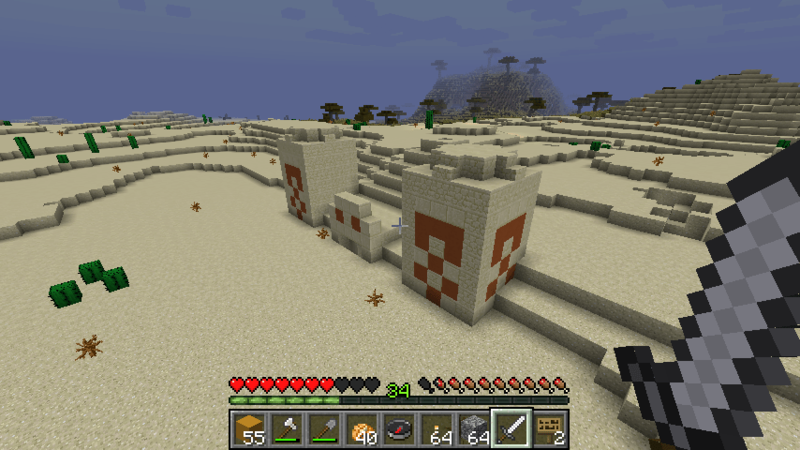 Minecraft is a game that for the past decade has caught and sustained the attention of teachers wanting to introduce elements of gamification into their classrooms (Dikkers, 2015). However, there are two steep hurdles for teachers: the complexity and depth of the game itself, and understanding how students will interact and communicate with each other in Minecraft by engaging in self-directed critical and collaborative learning (Kuhn & Stevens, 2017). EVO Minecraft MOOC was formed to resolve both these problems. Electronic Village Online (EVO) is an annual professional development event established in 2001 under the auspices of TESOL CALL-IS and has taken place every January / February since then (Hanson-Smith & Bauer-Ramazani, 2004). EVO consists of a baker’s dozen of sessions on topics proposed each year by language teachers who develop their proposals into training courses of interest to other teachers. Moderators hope only to learn by teaching others, and participation is open to anyone free of charge. 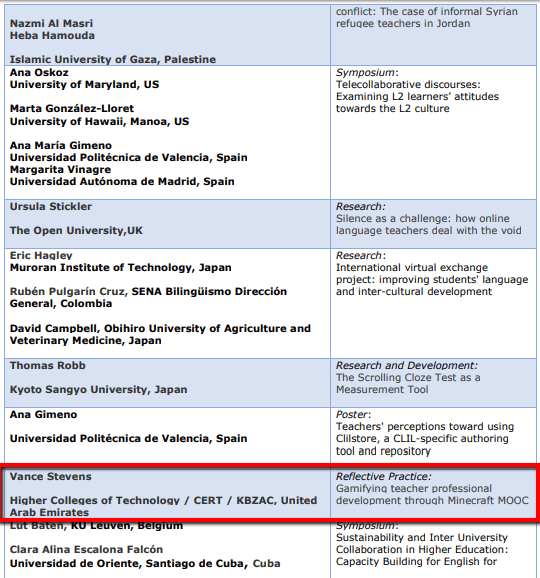 EVO Minecraft MOOC is one of these sessions. 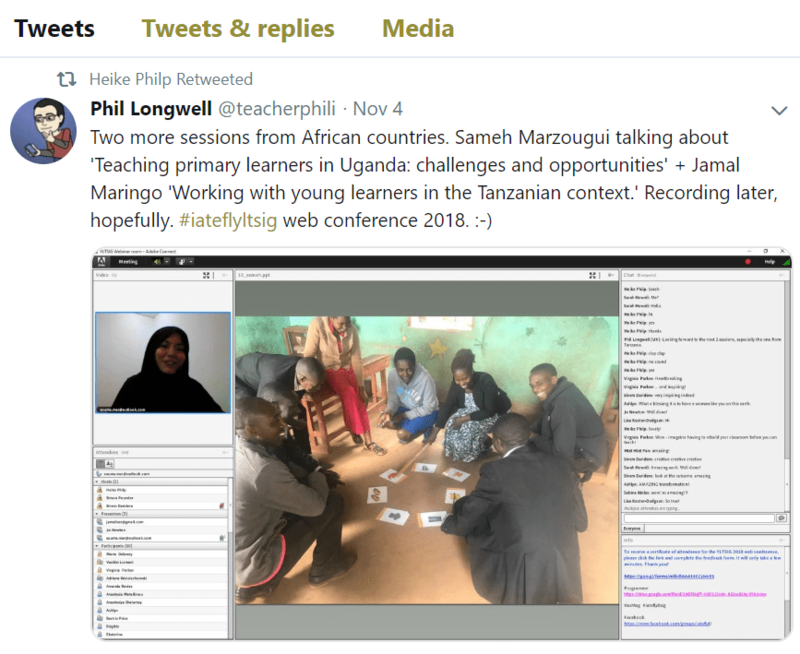 Since it was started in 2015 it has become an ongoing community of practice (CoP) of language teaching practitioners which invites newcomers to join in every January / February and then uses its server for community development throughout each year. 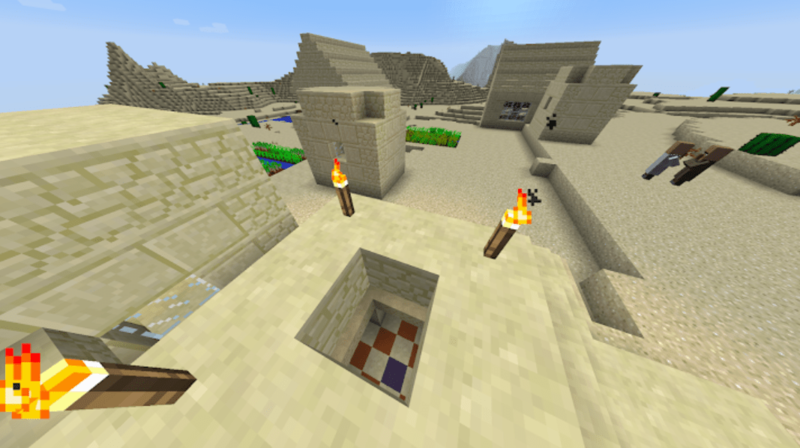 The community explores how teachers can be made aware of the affordances of Minecraft by creating virtual spaces for one another and interacting in those spaces. The core group of moderators have for the most part been returning year after year to sustain their practice of teaching languages and enhancing the professional development of peers through Minecraft. Participants who enjoy playing and learning with us often join the team. This paper explains what teachers participating in EVO Minecraft MOOC are learning about the game through the experience of playing it as learners, and what they are learning about designing worlds within Minecraft that will meet their curriculum objectives and create an engaging and enjoyable experience and task-based environment for learners. The author has been teaching English to speakers of other languages for over 40 years. His methods have evolved over the years from the behaviorist and cognitive approaches prevalent when he started teaching (references), through more communicative approaches (references), teaching through communities of practice (references to Wenger, Lave), through connectivism (Downes, Siemens), and most recently through gamification (Gee, references). The author became interested in Minecraft after hearing other teachers enthusiastically describe in podcasts how they were using the game with students ever since Minecraft was created by Mojang in 2009, but he was thwarted in finding a community of learners actively playing who would accept an adult in their midsts. Eventually he conceived the idea of forming EVO Minecraft MOOC as a way that he himself could develop expertise in the game and thereby use it with students. The seed took root when the author collaborated at a distance with a Croatian colleague on an article in which she interviewed her 11-year old son on how he had become fluent in English by engaging with other European players in Minecraft, even starting his own YouTube channel (Smolčec, Smolčec, & Stevens, 2014). In conducting the literature search for that article the author discovered other teachers using Minecraft in language learning. When he proposed an EVO session on the topic, he invited Jeff Kuhn and David Dodgson to join the effort, and both accepted. Jeff Kuhn set up our first Minecraft server and other teachers were attracted to the concept, including some who already had considerable experience in the game and were able to help mentor the developing Minecraft literacy of others (Stevens, 2017). 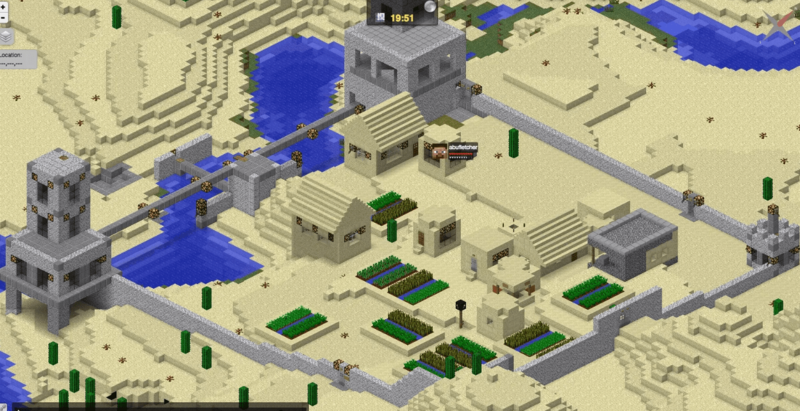 Minecraft MOOC takes place primarily online in Minecraft. In order to attract new participants we renew our proposal each year to become an EVO session and invite people to join us at our Google+ Community (G+C), where we can interact asynchronously. In addition to a syllabus, we also have a wiki at http://missions4evomc.pbworks.com/ where we can suggest a structure for the course. Although we have always had a syllabus, participants are attracted to the session not because their learning paths have been prescribed for them but because by entering the game, learning happens for them in a way that participants come to understand by experiencing the process. Ito et al (2010) characterize the steps in the process gamers go through as “hanging out, messing around, and geeking out,” and this is what happens with people who join us without much knowledge of Minecraft apart from a vague interest in using it with their students. Those who persist eventually become remarkably creative and capable of guiding other teachers, and their students, into adapting the game to their diverse learning goals. Our session applies the community as curriculum model whereby the community negotiates the operative syllabus for the MOOC (Cormier, 2008). This section discusses what we have learned about gamifying learning by experiencing gamification ourselves when playing the game Minecraft online with one another. First of all we have penetrated the Minecraft community of learners by becoming learners in Minecraft ourselves, learning hands-on how gamification works and might apply to our own contexts. In so doing, we come to grips with the complexity and depth of the game, understanding through doing it ourselves how students will interact and communicate with each other in Minecraft (in our case using the text chat native to Minecraft as well as Discord, a 3rd-party VOIP app frequently used by gamers, to speak to one another while in-world). Through carrying out our own projects, such as discovering temples, both on land and underwater, and excavating them for their loot, we engage in self-directed, spontaneous learning. 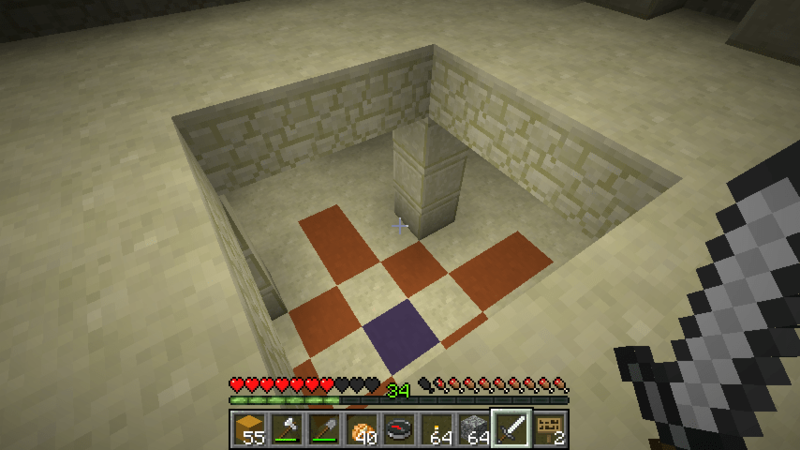 Through experiencing the game ourselves, we see how Minecraft brings essential skills such as critical thinking, collaboration, problem solving, and language and communication skills to bear on a range of concepts including, architecture, engineering, chemistry, mathematics, coding, history, and the list goes on and on. This article has already cited one example of students using Minecraft to practice and improve learning a foreign language (Smolčec, Smolčec, & Stevens, 2014). That article cites many other instances, including the work of Jeff Kuhn who used Minecraft to generate ideas for ESL students writing about disaster management, and Dave Dodgson using Minecraft in Turkey in an EFL context (see also their more recent articles: Kuhn, 2015; and Dodgson, 2017). We have found that Minecraft is capable of reversing the normal student-teacher dichotomy whereby teachers traditionally are assumed to know more than their students. We have found through the experience that participants tend to take charge of their learning by scaffolding one another in the vagaries of the game. We have also seen when, as often happens, teachers bring their children with them into the game, that these kids often become proficient more quickly than their parents, and mentor not only their parents but other adult players as well. Through this we see that a productive strategy of using Minecraft with younger students would be to set up a play space for them, encourage them to set their own goals within the curriculum, and empower them to become the experts, even to the extent of teaching the teacher how to use Minecraft to learn more about their curriculum. More importantly we reflect continually on how what we learn through our experience collaborating with each other in-world informs our approach to teaching and learning. Our G+C has been an ideal space for sharing our screenshots and videos from in-world, and conversations around all our topics of interest ranging from helping noobies to showing each other our builds and projects. Lately we have discussed there how to replace our G+C when Google drops support for the platform in April, 2019. Meanwhile we are looking into alternatives such as Google Classroom and Moodle. 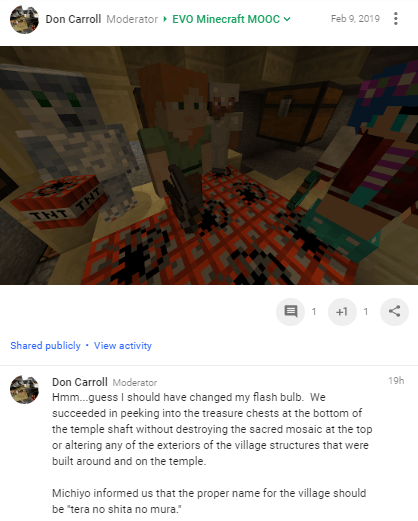 We don’t intend to let what happens with G+C curtail our learning in the 2020 rendition of EVO Minecraft MOOC. In our proposal and session materials, we invite other teachers to join us who consider themselves to be teachers with a gaming problem, gamers with a teaching problem, and teachers of gamers with a learning problem. By this we mean to address teachers who don’t already play games but would like to understand how gamification might work in their teaching contexts; teachers who already play games and would like to adapt what they know to teaching their students, and teachers who see that their students like games, and want to know how they might leverage this by fitting Minecraft into their curriculum. 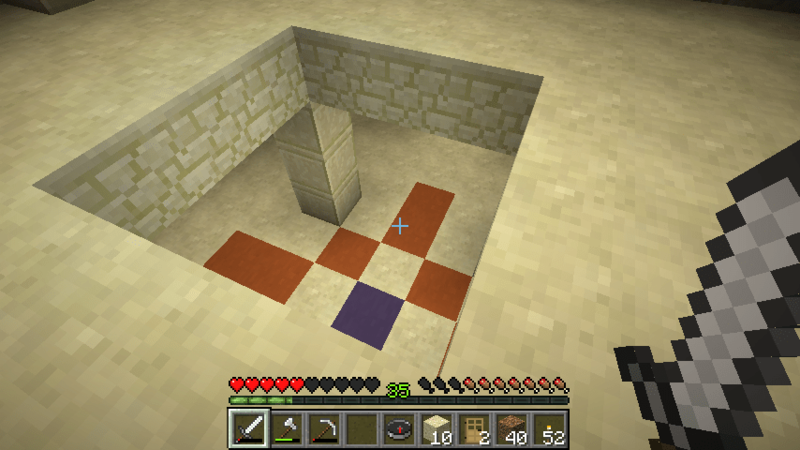 We consider it axiomatic that when asked by skeptics if Minecraft is in the curriculum, the reply is usually that the curriculum is somewhere in Minecraft already. We encourage our peers to join us so that together we can figure out how and where Minecraft can be utilized in anyone’s teaching curriculum. 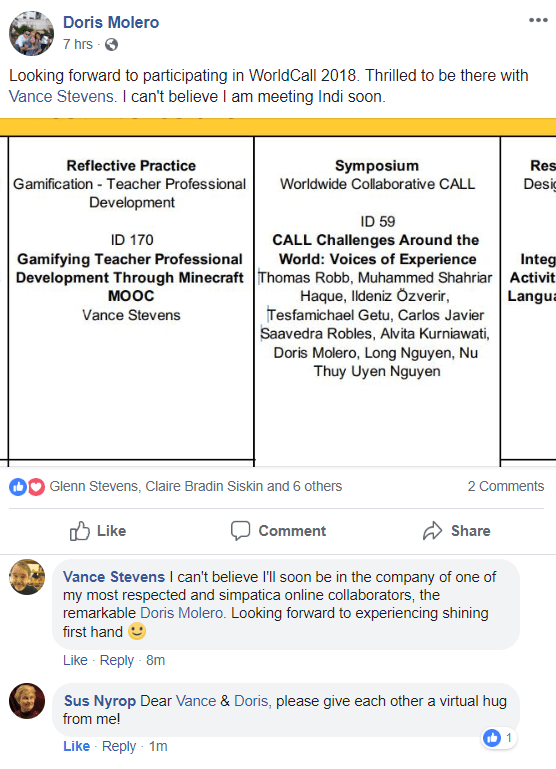 By the time these proceedings are published, the Minecraft MOOC EVO session for 2019 will have completed its 5th year as a formal session engaging teachers hands-on in the participatory culture their students will experience when playing the game of Minecraft. However, we expect there will be an EVO Minecraft MOOC in 2020, in which case we invite any interested participants to join us. We can be easily found via EVO, http://evosessions.pbworks.com/ or in a Google search on EVO Minecraft MOOC. Hanson-Smith, E. & Bauer-Ramazani, C. (2004). 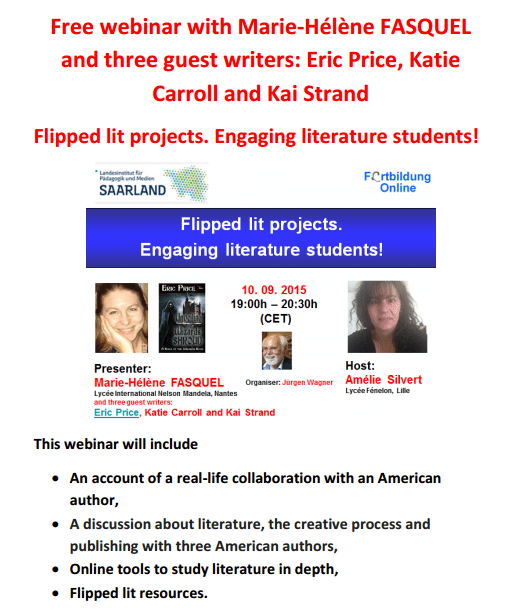 Professional Development: The Electronic Village Online of the TESOL CALL Interest Section .TESL-EJ 8, 2. (On the Internet) http://tesl-ej.org/ej30/int.html. Monday, November 5th, EST, we will meet at VSTE Place to work on a neighborhood which Dakotah_Redstone has already begun. Each person may try recreating their own home in the neighborhood. We will meet at 8 PM Eastern. This week we will look at two resources our members have shared: music creation: within Minecraft using Note Blocks and red stone, and 101 Build Hacks. Both can help us furnish our homes! You must have a computer Minecraft account from https://minecraft.net/en/ to join. There is a one time fee of $26.95. Download and install the software. Choose multiplayer and add a server: Name VSTE Place IP 69.175.17.26:25565 Our server is protected. If you want to be whitelisted to enter anytime you want to continue building this, or anything else, email Kim Harrison at K4sons@gmail.com or kvharris@vbschools.com from an educational email address with your real name and minecraft name. 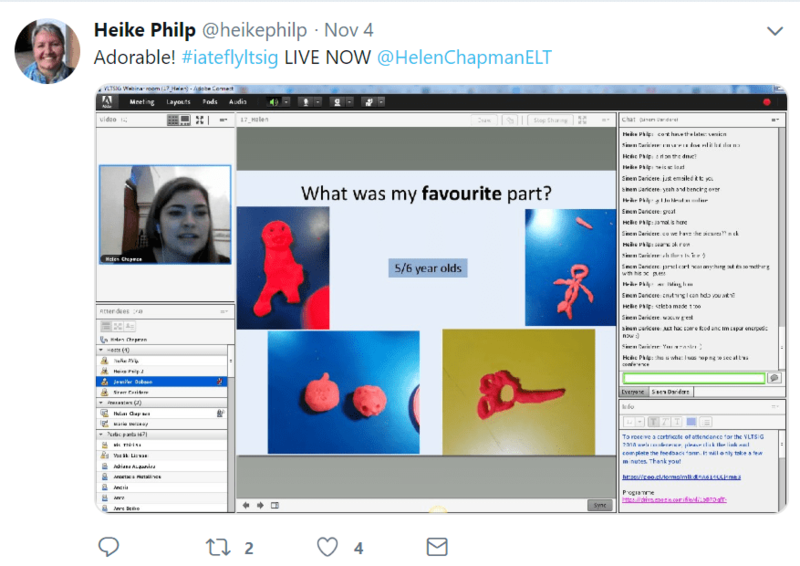 The role of Artificial Intelligence (AI) in ELT: friend or foe? A 4h online event on AI, an innovative mix of 15min ‘input’ presentations and 30min audience participation sessions. Poster information shared on Facebook: The Role of AI in ELT, Learning and AssessmentGeorge Kormpas created the invite. 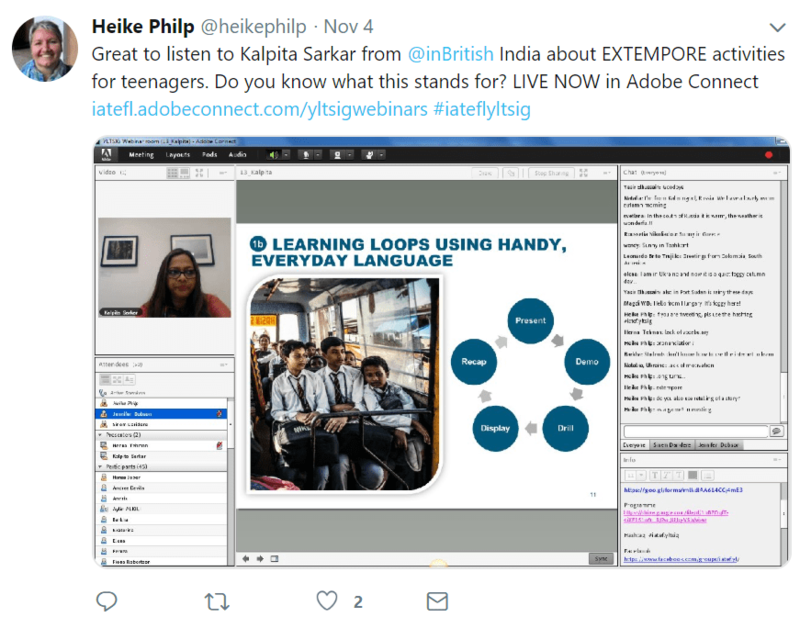 www.facebook.com/events/339686013468775/permalink/…The link to the event in Adobe Connect is posted on the FB pageNo preregistration is needed to be part of the webinar– Please spread the invite. The discussion was about how blogs and wikis are used in conjunction with one another to sustain Learning2gether all these years, so it was basically about the affordances of each that allow them to work in tandem. Dr. Robert Diotalevi, lawyer, university law professor, and author of An Education in ©opyright Law: A Primer for Cyberspace (highly encouraged pre-reading) will be joining us in a Google Hangout on Friday, January 29th from 9 AM to 10 AM EST . 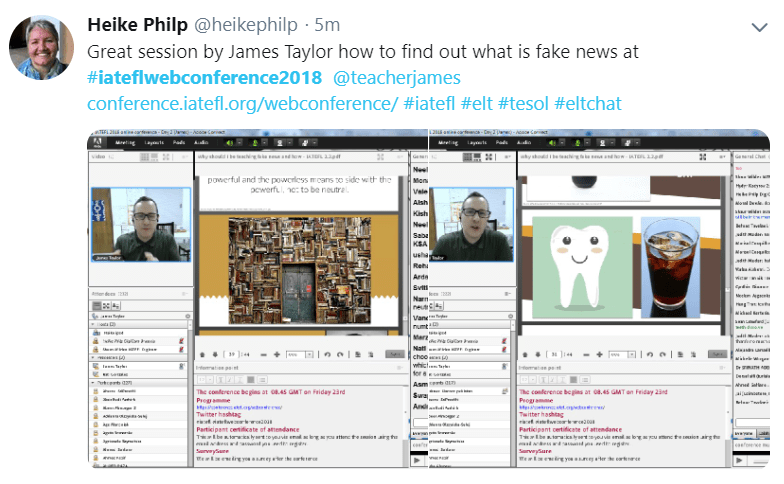 There, we will watch his presentation on the latest information regarding the Internet and copyright laws and how they affect educators followed by a Q&A session. Are you looking to be more innovative? Creative? Disruptive? Microsoft’s Hack the Classroom is a free digital event for educators and school leaders designed to give educators insight into the latest trends in education. Come learn from education thought leaders, innovative classroom educators, and students who are changing education by empowering their peers and students to navigate their own learning and teaching practices. We’re bringing disrupters in education to you to spark a two-way dialogue; hear their story and ask them questions through live Q&A! Bring your questions, connect with peers, and empower your students. Take a step towards transforming your classroom and join us to hear about successful teaching practices that have disrupted the education space to improve student outcomes. 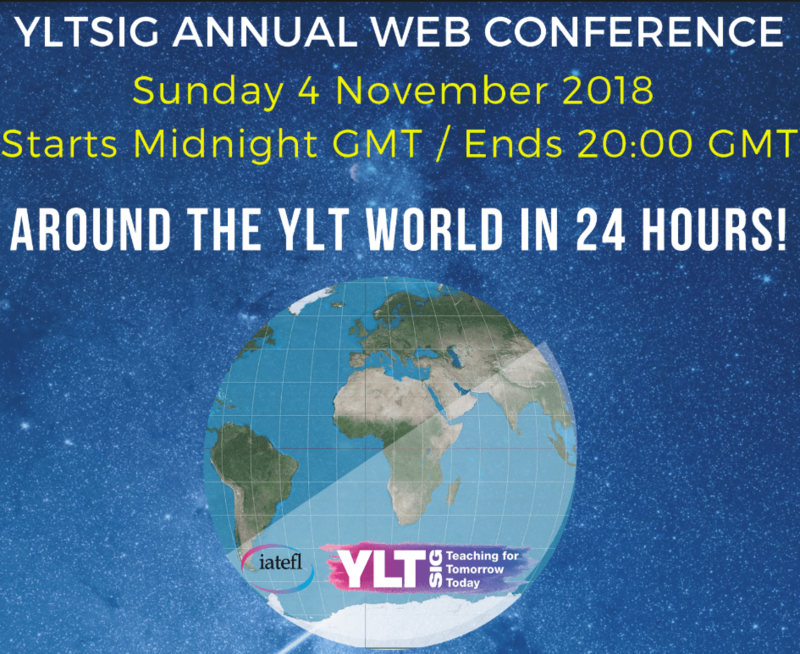 If you haven’t joined us before, this is an amazing, engaging, collaborative, worldwide event that you will want to be a part of. You can join us for just for one session, or for every session! Even if you miss a session, they are all recorded so you can watch them later! Attending: You can join us anywhere you have an Internet connection, and theschedule of sessions is published in each of the time zones in the world. Just find your time zone, find the sessions taking place, and click right into the ones you want to join. You can also import the entire calendar (Google) into your own calendar, or add selected sessions to your personal calendar to be sure that you don’t miss them. Volunteering: One of the best parts of this conference is the incredible volunteer effort to help new (and sometimes seasoned!) presenters. Volunteers gather throughout the whole conference in a special virtual lounge and work to make sure that presenters and attendees are given help whenever they need it. Our volunteers are an elite group of global helpers–come find out why they say being a volunteer moderator is the most fun you can have at the conference. More HERE. Sponsors: We’ve got a devoted and most-appreciated set of sponsors who make this conference possible (and keep it free!). Our special thanks to Marymounyt School of New York, University School of Milwaukee, Westhampton Middle School, Lauriston Girls’ School and others who support our conference. And there’s still time to join this illustrious group and help support our event! Email steve@hargadon.com.